The La Salle University One-Year MBA program is tailored to fit the needs of students in various stages of professional development. Those who possess an undergraduate degree or a minor in business may complete the program in as little as 12 months, while those without an undergraduate background in business must take pre-MBA foundation courses before beginning the program. A small group of faculty members teach all the courses in the curriculum, which students take in a set sequence. 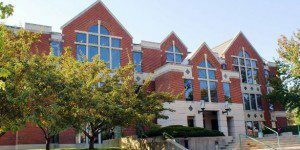 La Salle’s academic calendar is divided into fall and spring semesters of 15 weeks each, a 12-week summer semester, and two Intersession periods that fall between semesters and span two to three weeks each. While most courses are worth three credit hours, courses offered in the Intersession periods are generally worth one or one and a half credits each. The La Salle University One-Year MBA program offers students a choice of three set course sequences. The Investment Analysis track has two areas in which students can focus their studies: the CFA/Managerial Finance Track which is comprised of 42.5 credits; and an Accounting Track of 36-39 credits. A Dual-Degree program, in which students complete an MBA in Accounting as the final year of a four-year joint degree, is also available to La Salle undergraduates. Applicants to the One-Year program who do not have an undergraduate business degree are required to take the pre-MBA foundation courses before entry into the program. The courses introduce concepts in statistics, finance, business economics, accounting and management. One-Year students in the Investment Analysis tracks take 16.5 credit hours in the fall semester. For all three tracks, the fall semester is followed by a 1.5-credit online Intersession period, a spring semester of 15 credits, and a summer semester of nine credits. Students in the La Salle University One-Year MBA program are generally recent graduates, with an average age of 22-years old. About 54 percent identify as female, and a quarter of the class is international. The average GMAT score reported is 500, and the average is GPA 3.6. There are approximately 25 students enrolled in the program. Tuition for the La Salle University One-Year MBA program is $41,100 for a full year (not including students that need to take additional pre-MBA courses) and includes all fees. In addition, full-time students at the School of Business must pay a general university fee of $135 and a technology fee of $100. Students interested in reserving parking spaces must pay $30 per semester. Books and supplies, room and board, travel and personal expenses are not calculated in the cost of attendance. Students report living expenses ranging from $1,200 to $1,500 per month. Work opportunities on campus are also available, and such positions compensate students at minimum wage for a maximum of 20 hours per week. Students in the One-Year MBA Program are eligible for partial scholarships of $3,000-6,000 based upon their GRE or GMAT scores. Also available is the 25 percent Beta Gamma Sigma Tuition Discount, which is offered to students worldwide who are members of the organization. The Sister Cities Scholarship offers $5,000 per year to students from one of the ten cities that are part of the program. To apply to any of La Salle’s MBA programs, applicants must submit an application form, official transcripts from all schools attended, a résumé, an essay or personal statement, and GMAT scores. Applicants may submit GRE scores with permission from the Director of their target program. The application fee of $35 is waived for prospective students who apply online. Some students with a cumulative undergraduate GPA of 3.0 or better may be admitted into the first semester of the part-time program without the GMAT test scores. Conditionally accepted students are required to successfully complete the GMAT by the end of their first enrolled semester and are not eligible for financial aid or loans until they are fully accepted to the program. Applicants with an undergraduate business degree from an AACSB-accredited program who have a minimum overall GPA of 3.2 or above may apply for a GMAT and GRE waiver, as many applicants possessing a master’s or Ph.D. degree or equivalent. While there is no formal application deadline for the One-Year program, the school recommends that all information be received by the Office of Graduate Enrollment by August 1.